You know you are getting old when you don’t realise that Emoji’s are a big thing. Short of using them in my Whatsapp messages and social media, I didn’t think much more about them. So I was surprised when I learnt that there was a movie and also merchandise relating to it. It seems that the Emojis live in Textopolis, hidden in a smartphone, and Gene wants to be like the others who all have only one facial expression (he has multiple expressions). The film revolves around Gene trying to be ‘normal’. 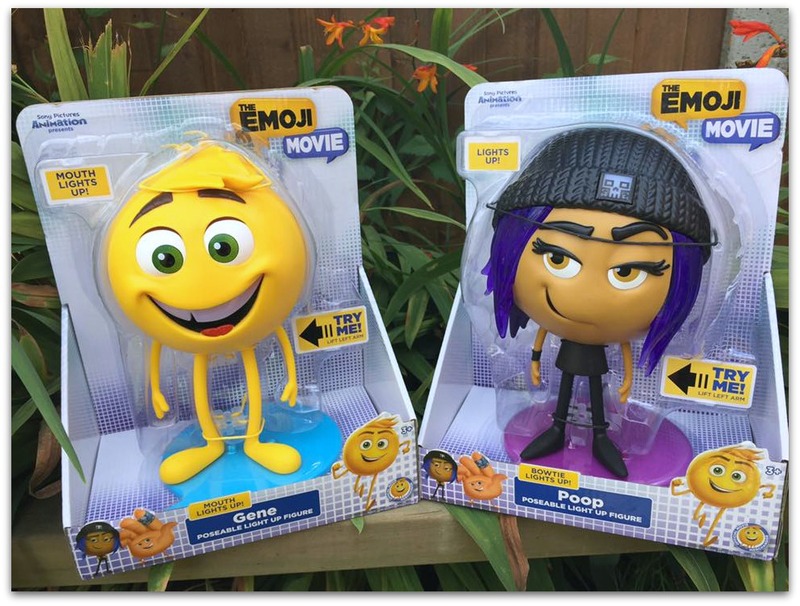 The girls are yet to see the film and have been asking to go…so they were well excited to receive some Emoji figures in the meantime. We received the figures of Gene and Jailbreak (note the packaging incorrectly says Poop for Jailbreak…but you can actually get a Poop figure too). Now the figures are meant to be poseable. So I was fully expecting to be able to move their arms, legs, and head to put them into different poses. However the only thing you can move is their arms. One of their arms you have to lift up for the figure to light up and the other arm moves about 2-3 centimetres. Not particularly what I would class as poseable. 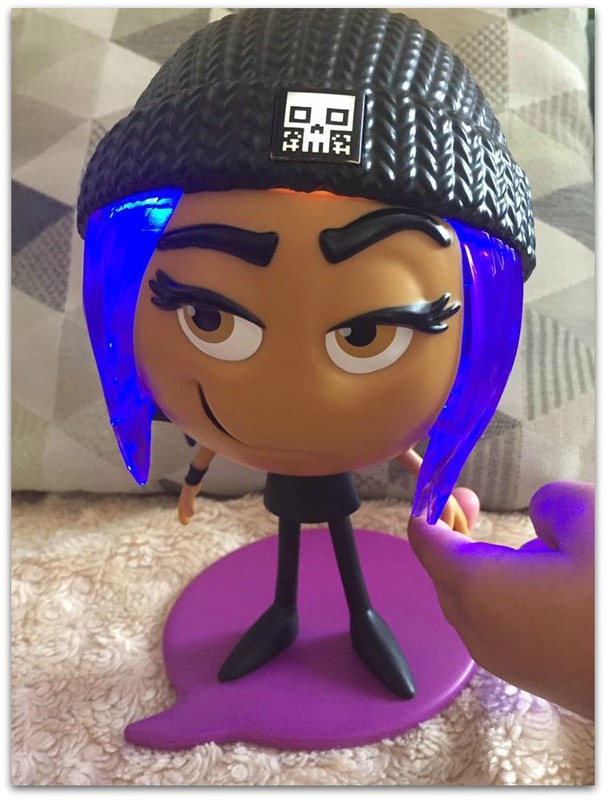 When you lift up Gene’s arm his mouth lights up and when you lift up Jailbreak’s arm then her hair and the badge on her hat lights up. The girls seemed to like them but I myself felt slightly underwhelmed. Yes they light up but they only light up for as long as you hold the arm up. You can’t really put them into imaginative poses with just the arm moving slightly. However, the girls have placed one each in their room and they seem to have pride of place. 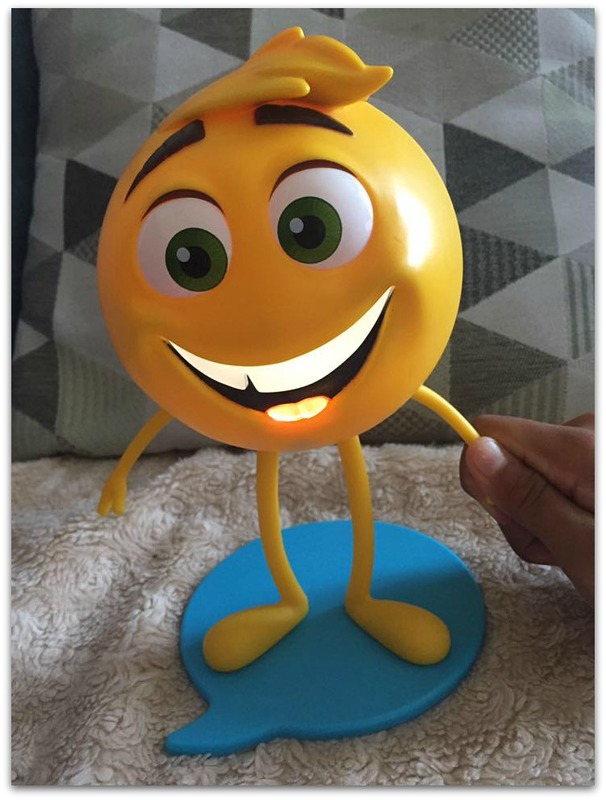 For Emoji fans they are great models to have in your room as they come with speech bubble shaped bases which you can stand the figures on. The girls have even asked to get the Poop figure……. 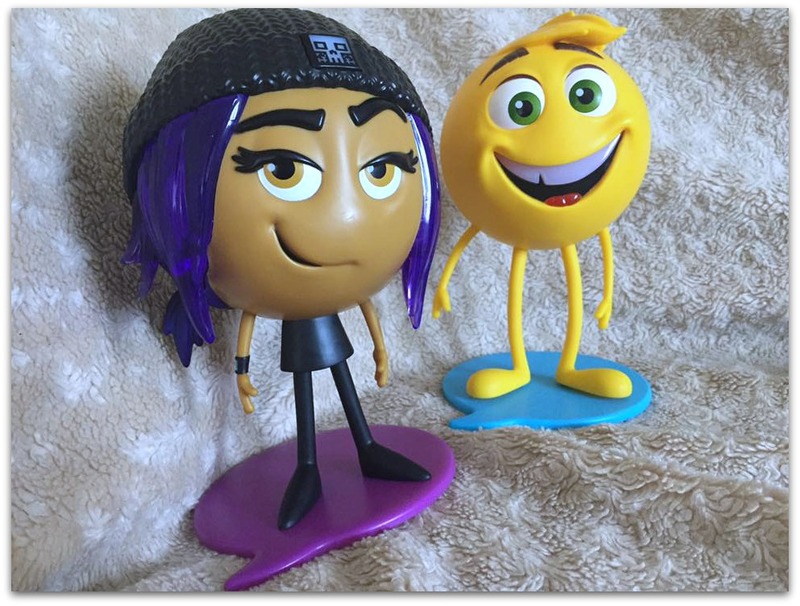 The Emoji Move Figures are made by Flair, are suitable for ages 6+ and the RRP is £14.99. Disclosure: We were sent both figures for the purposes of review. However all thoughts an opinions are our own. My kids would probably give their right arms for these! They are emoji obsessed! I must admit I was with you on emojis, but my son loves them too.